February 17, 1928 -- “A great crowd” [Chicago Daily Tribune, February 18, 1928] streams through the gates of the Dearborn Street station to greet the Santa Fe Chief as it stops on its way to New York, bearing the body of comedian Eddie Foy to his final resting place in New Rochelle. Six of his children greet the train, along with his manager, Harold Munnis, his latest partner, Monica Skelly, and his wife, who is “so grief-stricken that she had to be carried from the train.” It was Foy who was performing in a Wednesday matinee performance of “Mr. Blue Beard” at the five-week-old Iroquois Theater in December of 1903 when fire broke out after a spotlight short-circuited. The day after the fire claimed 500 lives the Chicago Daily Tribune wrote of Foy’s bravery, “The coolness of Foy, of the orchestra leaders and of other players, who begged the audience to hold itself in check, however, probably saved many lives on the parquet floor … Those in greatest danger through proximity to the stage did not throw their weight against the mass ahead. 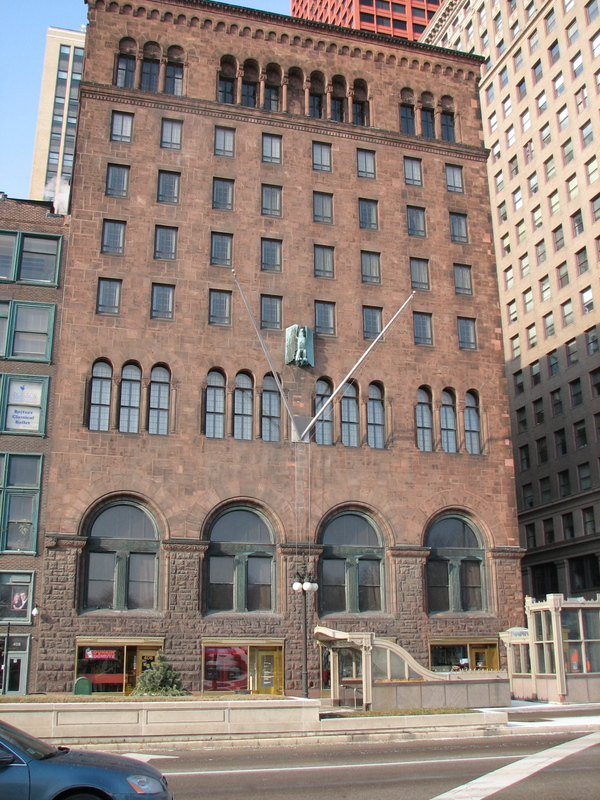 Not any died on the first floor, proof of the contention that some restraint existed in this section of the audience.” [Chicago Daily Tribune, December 32, 1903] Chicagoans did not forget Foy’s heroic actions even after a quarter-century had elapsed. 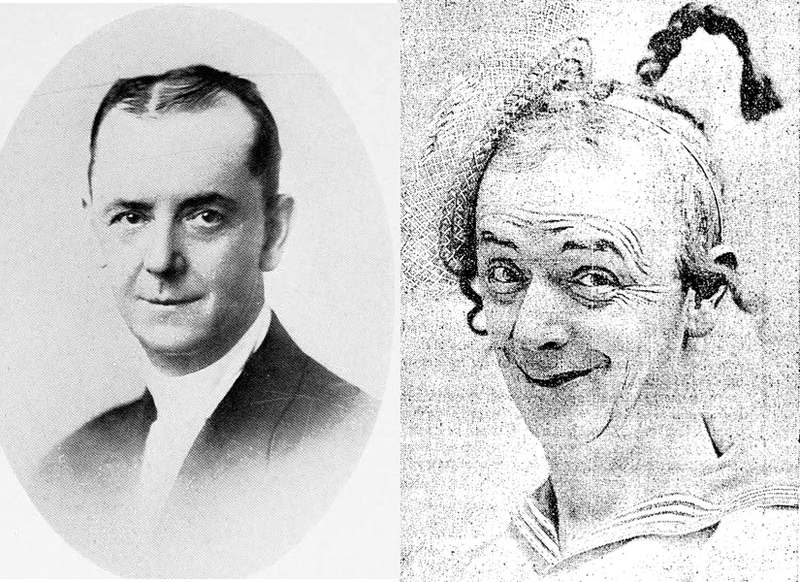 The photos above show Mr. Foy as well as the character he played in Mr. Blue Beard, Sister Anne. February 17, 1885 -- Item from The Chicago Daily Tribune: "Mr. John Root, of the firm of Burnham & Root, delivered the third lecture of a course before the Art Institute last evening. His thoughts on architecture were expressed in rather technical language. He explained the necessity of simplicity, repose, and proportion in buildings; also how poorly-constructed chimneys accumulated soot. He illustrated his remarks with diagrams and pictures. About 150 people were present." What must it have been like to have been one of those 150 fortunate souls? 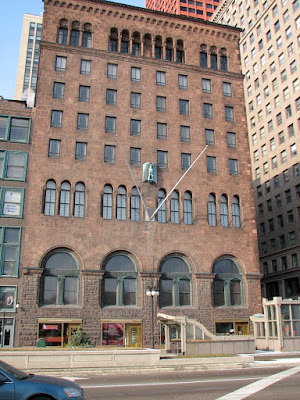 Root's remarks would have been made at the second home of the Art Institute, pictured above, on the southwest corner of Van Buren and Michigan Avenue, a building designed by Burnham & Root and which is now occupied by the Chicago Club.